The Classic Outfitter is an interior design practice and home renovation boutique located in Willoughby NSW. Our design philosophy is very much around collaboration of ideas and supporting our client's ultimate goals to achieve a classic aesthetic in their home, from a spectrum of transitional through to traditional. Services covered: INTERIOR DESIGN Specification of hard surface schedule Concept design and planning Kitchen design Bathroom design Custom joinery + custom furniture INTERIOR DECORATING Furniture selection Artwork selection Colour consulting Window coverings Reupholstery Offered in store is a curated selection of fixtures, fittings and furniture to outfit a classic and timeless home. Complimenting the range is a stunning hand picked homewares collection to dress your home down to the final detail. We offer a curated selection of stunning products, influenced by the beauty of English, European and American Classic styles. 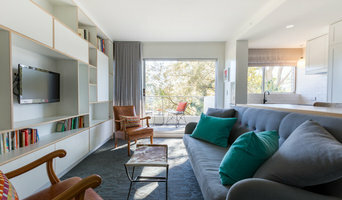 We deliver unique and bespoke interiors for residential clients throughout Sydney. Our design aesthetic is both fresh, layered, vibrant and most of all versatile. 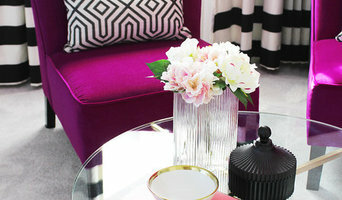 Pattern, colour and texture play an important role in creating a beautiful and inviting interior. With a love of many different design influences we are able to mould and change the visual aesthetic to suit each home and our client's lifestyle. Offering both an interior design and decoration service we are able to consult on all aspects involved in creating a particular style within the home. From hard finishes to soft furnishings and everything in between we can create cohesive and practical living spaces for our clients. Having completed numerous projects in the Eastern suburbs, Sutherland Shire, and Inner West of Sydney our services are far reaching and not limited to one particular area of Sydney. With an extensive background in design and decoration, owner and creative director Kathryn delivers beautiful and functional homes specialising in quality and comfort. Working with some of Sydney's finest and highly skilled tradespeople, builders and artisans Kathryn is able to produce outstanding and visually striking interiors. On previous projects Kathryn has developed close working relationships with her clients, helping them realise the potential of their home. From the initial consultation to installing the design elements the process is collaborative, creative and well planned to even the smallest of details. Understanding her client's lifestyle and personality is one of the most important parts of the design process. 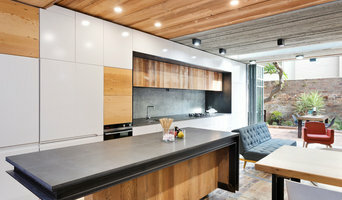 Karanda Interiors brings over 40 years’ of uncompromising Interior Design experience to Sydney. Founded and developed as a boutique firm, the team at Karanda are able to ensure that they dedicate the time necessary to each of their residential and commercial clients. Our vision is stemmed from a deep passion to create dynamic, considered and timeless interiors that reflect each of our unique client briefs. Working alongside and collaborating with trusted trades we are able to ensure that our designs have a solid foundation from concept to completion. 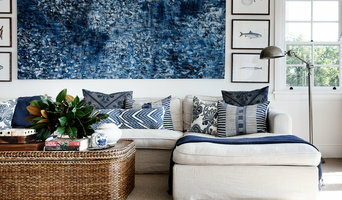 Collector, curator, artist, stylist and founder of Sydney’s Hamptons House, Monica Ford is a self-taught stylist and interior designer with a natural flair for creating beautiful spaces brimming with gorgeous and unique pieces. 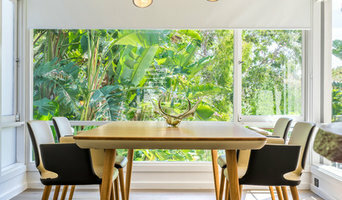 Based on Sydney's Norther Beaches, yet working all over the Sydney and surrounding suburbs, Monica offers home styling and interior design service sourcing bespoke furniture, art and homewares for individual rooms, to transforming an entire home. Monica works with her clients to create their own signature style and experience. Monica’s projects include decorating apartments, houses, holiday homes and boutique hotels, to interior designing renovations, rebuilds and new homes.